Hello lovely new wedding albums! Yes, they are here! These are my new sample albums to show to all you lovely lot when we meet up to talk about your wedding – I can’t wait for you to see them! My wedding albums are available to add to your wedding photography package when you book me as your wedding photographer, or you can choose to add your wedding album at a later date, even up to twelve months after your wedding. (This flexibility is really helpful as you can spread out your wedding budget, or use wedding gift money afterwards to get the album you really want). 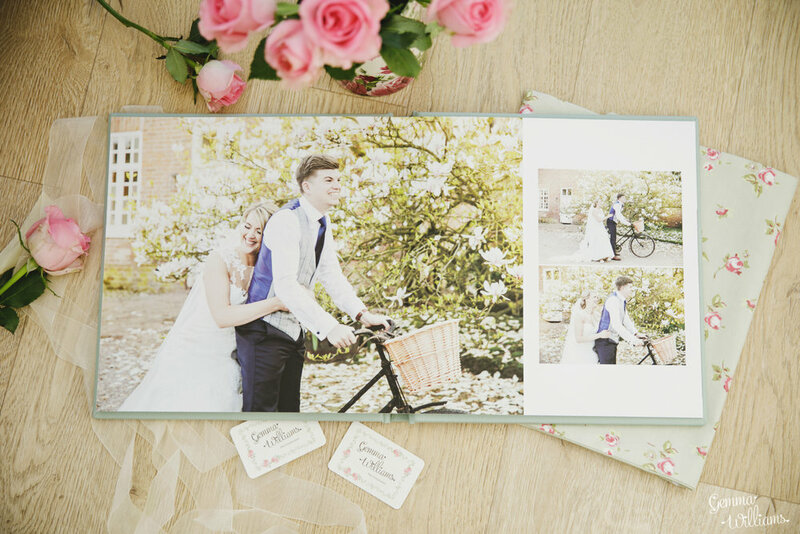 My wedding albums are gorgeous Fine Art albums with beautiful matt paper and stunning print quality – they will really show off your photographs and bring your wedding day to life even more as you look through the pages! I offer two sizes for your main wedding album – the 10×10″ size is included in your wedding album package, but you can also choose to upgrade to the bigger 12×12″ size if you wish. My albums come with 40 pages as standard, but you can upgrade to 60 or 80 pages if you would like a really luxury album with space for lots more favourite photos! There is also the option to add on mini-replica gift albums too if you wish, these are a great present idea for the parents or grandparents as Christmas approaches! These are 6×6″ size (perfect for the handbag too!) and they are a cute copy of your main album, with the same high quality finish. 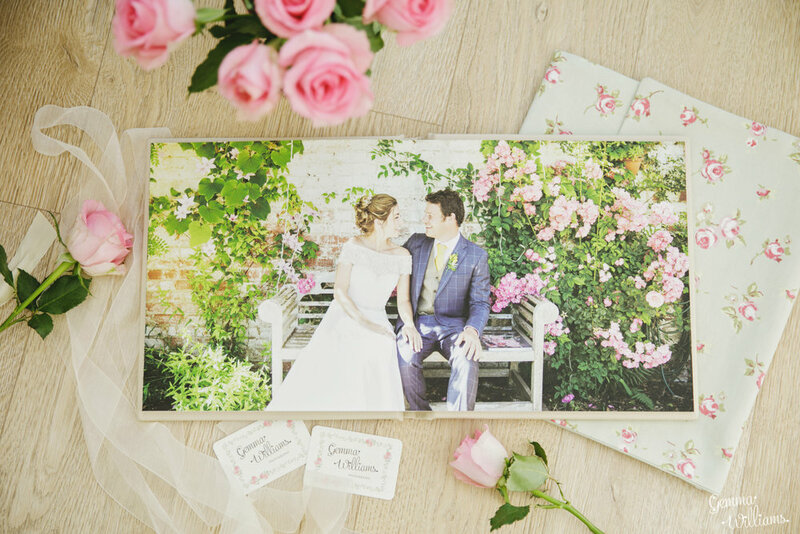 The other thing I love about my wedding albums is that they are carefully handcrafted here in the UK and are made using only the finest quality materials and inks. Their archival quality means that they really will last a lifetime and can be handed down through the generations, so your wedding photographs to be preserved and enjoyed long into the future. Your images are printed directly onto the fine art matt paper and the crease is almost invisible so you can have lovely full page spreads with no image loss in the centre. I absolutely love designing your wedding story in these albums. There are so many stunning options for your cover. You can have quality leathers or fabrics/silks, in a huge variety of tempting colours. There is sure to be something to suit your colour scheme! New for 2019 I also now have vegan-friendly leather options and 100% cotton covers, all in lovely colours too. You can either choose your cover in person with me, looking at all the swatches together, or I can send you the brochure of colour choices so that you can decide in the comfort of your own home. 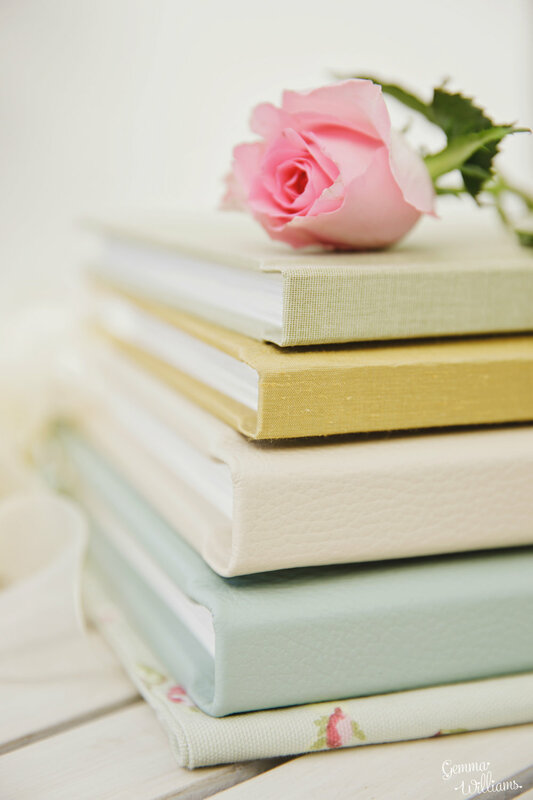 You can also decide whether you would like to have names, date, or other wording embossed onto the front cover, or you could just leave it plain if you prefer. A gorgeous cotton bag and a presentation box completes your album. The album design process itself is really fun and interactive. You choose your favourite pictures (or I can choose for you if you would like), then I design your draft layout. You can then view this design draft online, and turn the pages ‘virtually’ to see how your album will look. You can make comments for changes on the pages, swapping or moving pictures etc. I’ll then make the changes you have asked for, and you can view the draft again online, before approving it for print. When your album arrives, make sure you have a bottle of bubbly in the fridge ready to enjoy looking through the lovely pages together! 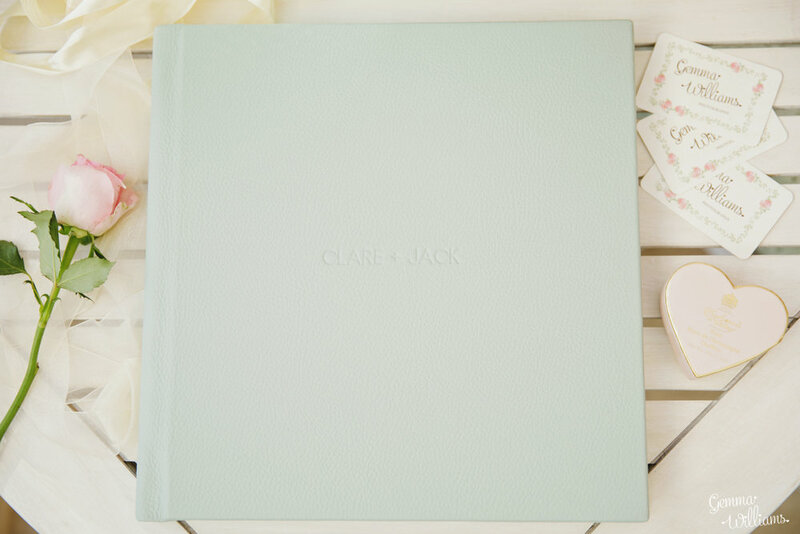 With a wedding album this gorgeous, you will want to show it to all your friends and family all the time! 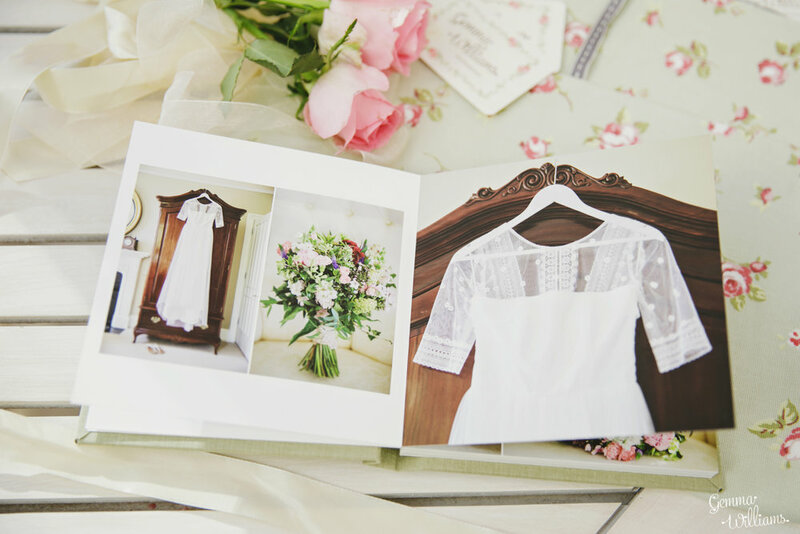 It really is the perfect way to treasure your favourite wedding day photographs. 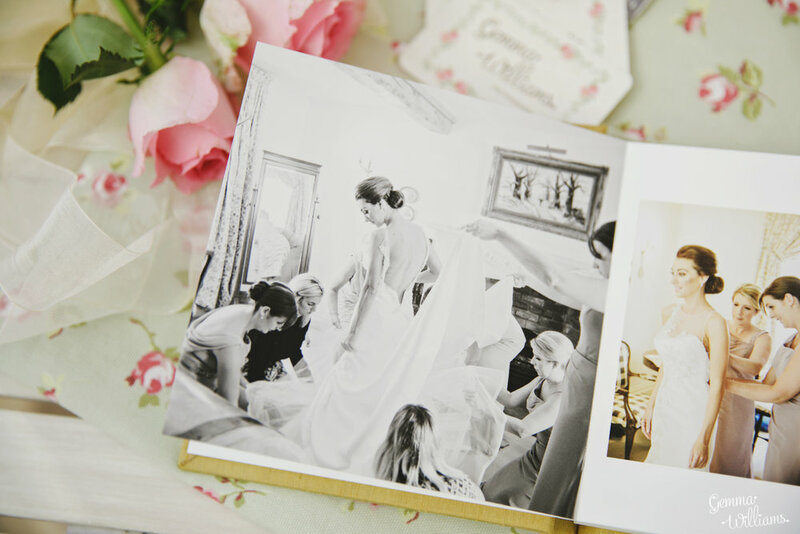 If you would like to find out more about my wedding albums, please do get in touch!